Documenting the weird and the wonderful of everyday life in the most amazing city in the world. 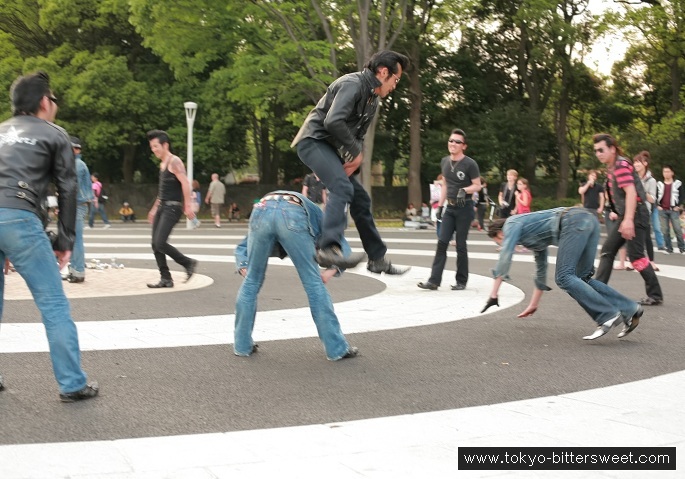 A common fixture at the entrance of the Yoyogi park in Harajuku are the rockabilly groups that gather there on the weekend. For hours they like to party to rock ‘n roll, showing off their dance moves and cool blue jeans and black leather retro fashion. 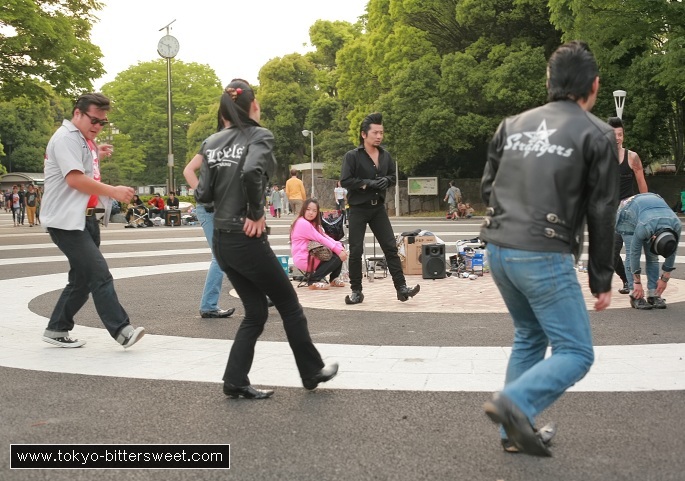 While they apparently don’t mind being photographed, everyone keeps their distance as the tattooed members of these groups are rumored to be possible bōsōzoku, yakuza wannabees. Club Theatic Show 22 with Vanished Empire, Zodiaque, Psydoll, Hernia 44, Remnant, Solomon Grandy, Zwecklos etc. A colorful wig for cats (and dogs)!